Monte Lee Haag of Sun City, Arizona, died December 1, 2010, from injuries received in an ultra light aircraft accident near the Lake Pleasant and Carefree highways in Peoria, Arizona. A son of Sam and Dorothy Ward Haag, Monte was born in Algona, Iowa, on September 19, 1940. He attended and was confirmed at the Trinity Lutheran Church. After graduating from Algona High School, Monte received a B.A. from the University of Northern Iowa and taught elementary grades in Waterloo, Iowa and Shelton, Washington. 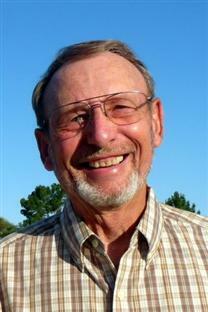 Monte became an elementary principal in Grandview, Washington when he received a Masters Degree in 1979. He retired and moved to Sun City in 2000. In Sun City, Monte has been instrumental in developing an active and large tennis club. He has been elected president several times. Tennis, pickleball, golf, and bowling were favorite sports in which he loved to participate. Monte enjoyed helping others with all kinds of projects. Playing cards, flying his plane, and spending time with his grandchildren were special activities for him. He'll be remembered for his positive attitude, love of life, deep concern and and care for others. He was loved and respected by many. He is survived by his wife Karen, of Sun City; daughters Ann, Mrs Charlie Happel, Des Moines, Iowa; Sarah Willis, Mason City Iowa; son David Haag and wife Sarah of Las Vegas, Nevada; and four grandchildren. He is also survived by brother Bob Haag and wife Sally and sister Judy, Mrs. Dennis Lichter of Algona, Iowa; Janis, Mrs. Virgil Schewe of Albert Lea, Minnesota; and special cousin Larry Klein of Sun City. He survived by many aunts, uncles, nieces, nephews, and cousins. A daughter Nikki, grandson Shawn, and his parents preceded him in death. In lieu of flowers donations are being accepted for The Monte Haag Memorial Scholarship Account for his grandchildren's post high school education that was so important to Monte. Donations may be be deposited at any Wells Fargo Bank to The Monte Haag Memorial Scholarship Account, #2349106852. Donations for the fund may also be mailed or given to Karen Haag, Bob Van Dyke, or Larry Klein. Make checks payable to The Monte Haag Memorial Scholarship Account.